Let's just cut to the chase here. I'm obsessed with these paper clip cookies. It's a little unhealthy. But not like eating-a-pound-of-butter-straight-from-the-fridge unhealthy. More like eating-half-a-pound-of-butter-at-room-temperature unhealthy. You know, because that's SO much better. 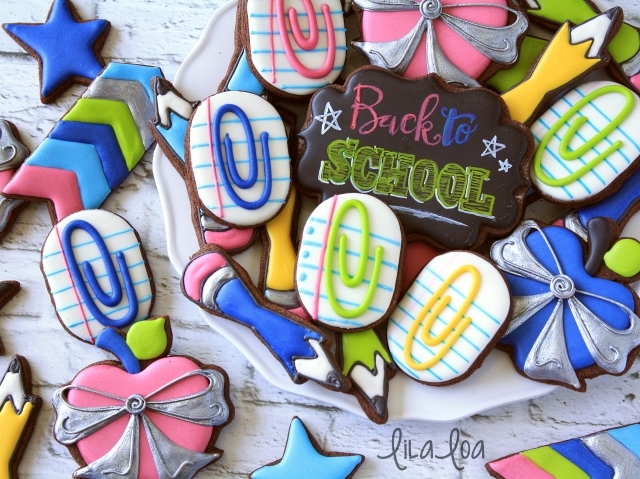 These cookies are by far my favorite back-to-school cookies. Mostly because they FINALLY made use of a "cutter" I've been waiting to use for YEARS. Not "years" with lowercase letters. We are talking "YEARS" with all uppercase letters. That's way more than just "years." And they are the perfect fit for it. And easy. And brightly colored. And who doesn't love brightly colored?! Sad people. That's who. And also people who can control their impulses. Unlike me. That's why I don't have a Costco membership. Because my cart would be piled high with brightly colored items that I *need* based merely on the fact that they are brightly colored and make me happy. And I LIKE TO BE HAPPY. Is that such a crime? What are you? The happiness crime police? Stop judging me and make cookies with me already. 2. Grab some brightly colored icing and a big ol' tip. I used a #6 tip, but any tip from #5 through #8 would work. Then just pipe a paper clip on top of your notebook background. EASY PEASY. And....here's my super high-tech "secret" cutter. Admit it...you've looked at it for years wondering how you could possibly use it for cookies. You're welcome. Now get to baking. Oh, wait. 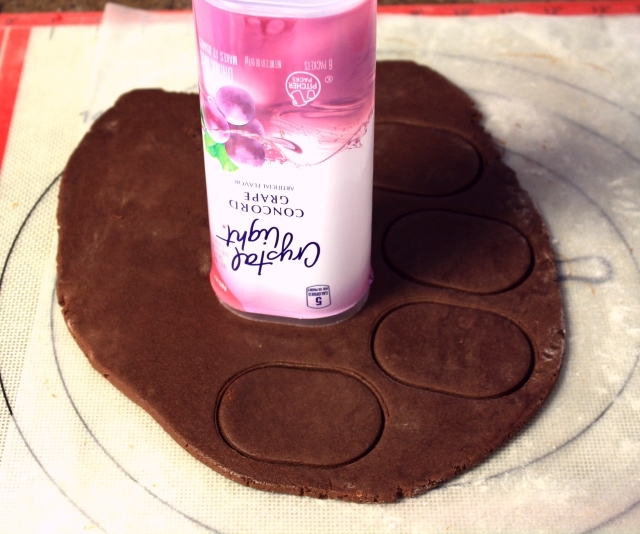 Did you want to see this cookie in action? Grab the supplies: Get the ...umm... CUTTER. Or a #5 TIP. Or my favorite FOOD COLOR MARKERS. 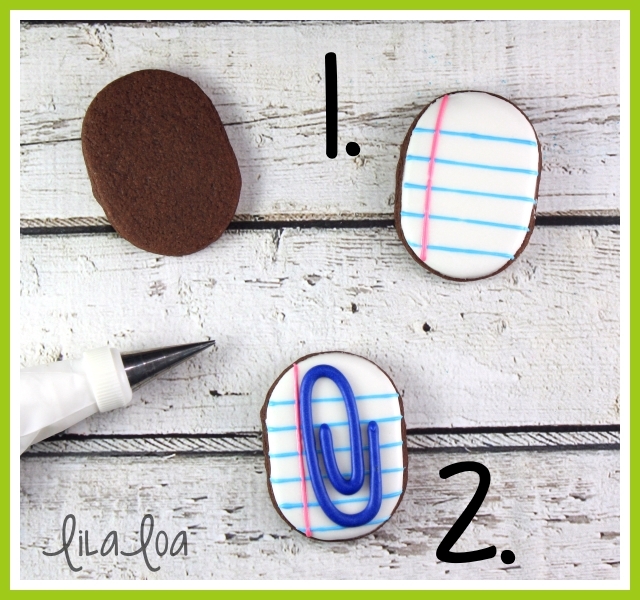 Find out how to make the PENCIL COOKIES with a cutter you probably already own. Learn my secret to COLORED CHALKBOARD COOKIES here. See how to make the most PERFECT BOWS ever and grab the APPLE WITH A BOW CUTTER.